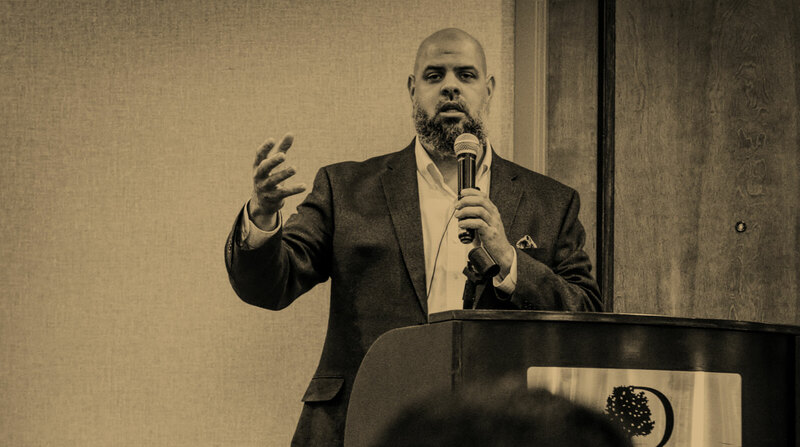 The following are some loose notes from a talk I delivered at the University of Pennsylvania on March 12th, 2012, on the topic of qira’at al-Qur’an or the Recitations of the Qur’an. I will try to provide some succinct information on some of the terminology, also known as istilahat (اصطلاحات) as well as the various qurra’ (قراء) or reciters. Listen to the audio from the Chaplain Chat here. Qira’ah (قراءة): it is that which relates to one of the Ten Reciters, a qari’ (قاريء). These Ten are sometimes known as al-‘Ashr al-Ma’rifun (العشر المعرفون). For example, Imam ‘Asim and Imam Ibn Kathir are from this group. Each of the Seven Reciters (known for their chains of narration (sanad), which are mutawatir, had two students (the next group). Riwayah (رواية): it is that which relates to one of the narrators, a rawin (راو). These narrators took the recitation from the above group and dispersed it. Such examples might be Hafs ‘an ‘Asim or al-Susi ‘an Abi ‘Amru, with ‘Asim and Abu ‘Amru being the teachers of Imam Hafs and Imam al-Susi respectively. Think of it as student ‘an teacher (lit., Hafs the student of ‘Asim, Qunbul the student of Ibn Kathir, etc.) (الطالب عن شيخه). Tariq (طريق): these are in a sense the students of the rawaya (روايا أو راويون) or narrators. An example of this might be a mushaf (physical copy of the Qur’an) which has the title of Qunbul ‘an Ibn Kathir min Tariq al-Shatibiyyah, or Qunbul, the student of Imam Ibn Kathir from the chain of al-Shatibiyyah. For time’s sake, we will not be delving into al-Azraq or al-Shatibiyyah but do know that there is this third component. Imam Nafi’: his two students were Warsh and Qalun. Therefore you have the recitation of Wash ‘an Nafi’ or Qalun ‘an Nafi’. Imam Nafi’ is from the Madinah school. Imam Ibn Kathir: his two students were al-Bazzi and Qunbul (incidentally, these are sometimes also pronounced al-Buzzi and Qanbal). Their recitations are known as al-Bazzi ‘an Ibn Kathir and Qunbul ‘an Ibn Kathir. Ibn Kathir is from the Makkah school. Imam Abu ‘Amru: his two students were al-Susi and al-Duri*. Their recitations are known as al-Susi ‘an Abi ‘Amru and al-Duri ‘an Abi ‘Amru. Abu ‘Amru is from the ‘Iraqi school (al-Kufah). Imam Ibn ‘Amir: his two students were Hisham and Ibn Dhakwan. Their recitations are known as Hisham ‘an Ibn ‘Amir and Ibn Dhakwan ‘an Abi ‘Amir. Imam ‘Asim: his two students were Hafs and Shu’bah. Their recitations are known as Hafs ‘an ‘Asim (the most commonly recited narration today) and Shu’bah ‘an ‘Asim. Imam ‘Asim is also from the Kufic school of ‘Iraq. Imam Hamzah: his two students were Khalaf and Khallad. Their recitations are Khalaf ‘an Hamzah and Khallad ‘an Hamzah. Imam Hamzah is also from the Kufic ‘Iraqi school. Imam al-Kisa’i: his two students were Abu al-Harith and al-Duri*. Their recitations are Abu al-Harith ‘an al-Kisa’i and al-Duri ‘an al-Kisa’i. Imam al-Kisa’i is also from the Kufic ‘Iraqi school. * al-Duri is the only student to have taken narrations from two Master Reciters: Abu ‘Amru and al-Kisa’i. Abu al-Harith ‘an Kisa’i. Intro and Usul. Arabic only. al-Duri ‘an al-Kisa’i. Intro and Usul. Arabic only. al-Bazzi ‘an Ibn Kathir. Intro and Usul. Arabic only. Qunbul ‘an Ibn Kathir. Intro and Usul. Arabic only. al-Duri ‘an Abi ‘Amru. Intro and Usul. Arabic only. al-Susi ‘an Abi ‘Amru. Intro and Usul. Arabic only. Listen here. Hafs ‘an ‘Asim. Intro only. Arabic only. Listen here. Shu’bah ‘an ‘Asim. Intro and Usul. Arabic only. Hisham ‘an Ibn ‘Amir. Intro and Usul. Arabic only. Ibn Dhakwan ‘an Ibn ‘Amir. Intro and Usul. Arabic only. Khalaf ‘an Hamzah. Intro and Usul. Arabic only. Listen here. Khallad ‘an Hamzah. Intro and Usul. Arabic only. Qalun ‘an Nafi’. Intro and Usul. Arabic only. Listen here. Warsh ‘an Nafi’. Intro and Usul. Arabic only. Listen here. Sound chain of narration: narrators were continuous, well known for their piety and were known to possess Sound memories. The recitation must also be dispersed by a large number of narrators after the Sahabah (this is the condition of mutawatir). Narrations which did not fit this stringent category were considered either mash’hur (as in the case of Abu Ja’far, etc.) or irregular (shaddh). The recitation had to match the grammatical rules and constructions of the Arabic language. This was acceptable even if they matched styles only found in the Jahiliyyah poetry (pre-Islamic poetry). The narration had to agree with the script of one of the copies of the Qur’an disseminated by Khalif ‘Uthman Ibn ‘Affan in the ‘Uthmani script (al-Rasm al-Uthmani/الرسم العثماي). This is why it is acceptable to have differences in the “dot placement” (تعلمون أو يعلمون) so long as the other conditions are met. When time permits, I will try and upload more audio files of the various qira’at/riwayat of the Qur’an, in sha’Allah.